Nelson Rodriguez was born in Columbus Hospital off of Bloomfield Avenue, attended Our Lady of Good Counsel through High School, and although his family moved to a different town, Nelson returned to the neighborhood he grew up in the North Ward. Nelson is currently a District Executive for the Boy Scouts of America (BSA) working with over 200 adult volunteers to provide services for over 1,500 young men and women (boys ages 6-20 and girls 14-20) in Lower Passaic County and Western Bergen County. The BSA believes that helping youth is a key to building a more conscientious, responsible and productive society. Nelson spends his spare time involved in his community as a Coach and Member of the Board of Trustees for the Just One Soccer League, an organization that provides a non-competitive and safe environment for over 700 families to learn and love the World's Most Popular Sport - Soccer/Futbol! 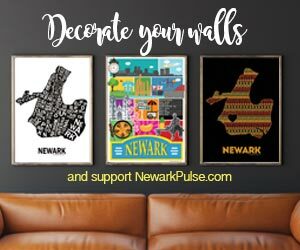 Nelson and a few friends/colleagues are starting a non-profit organization (www.VolunteerNewark.org) that will assist organizations with recruitment, retention and rewarding of skilled and trained volunteers. He keeps in touch with youth he has worked with or volunteered for him to meet and talk - seeing them grow, learn and lead in their own right, reaffirms his continuous dedication to community service. That's like asking me which of my mentees/proteges is my favorite! Each one is special and interesting in their own way, but I will name a few: Omar's Cafe on Mt. Prospect continues to have the best coffee and Cuban Sandwiches in Newark; When in Newark you have to go to the Ironbound, in particular to Iberia's Restaurant, I remember going there as a kid with my family and just trying everything I could; I always boast that the best Sangria in Newark is found at Sagres on Prospect Street, just be careful it can sneak up on you; When I am feeling healthy and want to eat fresh, the best place to go is the Harvest Table on Halsey St.; Of the new places by the Prudential Center two that I have visited and enjoyed more than once are Edison Ale House on Edison Pl. and Dinosaur BBQ on Market St.; Oh and if you have never had a Pupusa, you need to stop by Las Canastillas on Broad Street, trust me! Favorite Newark event/activity has to be Saturday's at Branch Brook Park between March and July, just seeing children and families come enjoy and play a sport that some are learning for the first time is awe-inspiring! Favorite Newark Memory has to be back in December 2008, with a group of about 20 Newark High School students with our friend - Pastor Danny Iverson, we volunteered our time and sang Holiday Carols to the Seniors at Branch Brook Manor. During the event an elderly woman approached me and asked if I was the person responsible for bringing the young people, I told her no, it was their idea - I just drove. Either way she was extremely grateful and shared with me that this Christmas she was not able to spend time with her grandchildren, but that she felt as though she saw her grandchildren through the songs and smiles of the youngster before her... I still get chills every time I think about that moment. Best tip for someone new to Newark is to come with an empty stomach, the City has become a vibrant place for different types of cuisines from Brazilian BBQ at Boi Na Brasa, to over-stuffed burgers at Hamburgao, to soul food at Je's, to dirty water dogs at JJ's, to great steak at Fernandes... and if you're looking for places to just relax and chill you can't go wrong with Catas (best time to go is before a Red Bulls Soccer game, trust me). In my humble opinion the best (non food) place to spend some time is the Newark Museum, I bring my nephew as much as I can and we both enjoy it every time! We want to feature real Newarkers just like you! If you would like to nominate yourself or someone you know for Meet Your Neighbor. You must currently reside in the City of Newark. Fill out our form here.